Where the Water Taste Like Wine is a “bleak American folk tale” where you travel the US hearing stories and carving your own path across the country. The characters you meet all have their own stories to tell, and today the developers announced the voice cast who’ll be bringing those people to life. Check out all the best indie games on PC. 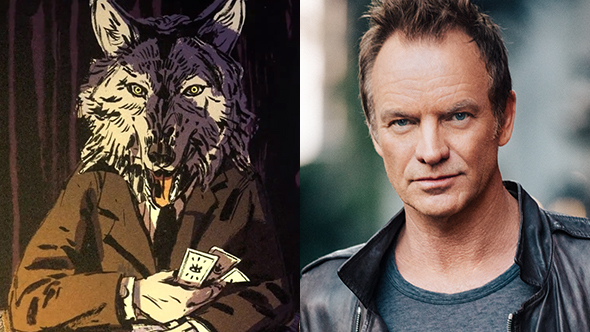 The biggest among those is less person and more wolf, as Sting will be voicing the game’s lupine narrator. Sting was a staple member of the WCW roster through – wait, sorry, I’ve just been informed that this is in fact Sting the musician, frontman for The Police and successful solo artist besides. The tones of the 16-time Grammy winner will be guiding you throughout the game. The narrative adventure is scheduled to release in the not-too-distant future, with a current release date of early 2018.